Manufactured between 1997 and 2005, the 996 split opinion among Porsche purists as it was the first 911 to feature a water-cooled engine. However, it proved a hit with the wider motoring public and worldwide sales figures of over 175,000 made it one of the company’s most popular cars ever. Those sales figures mean there are now plenty of them available for tempting prices on the used market but, despite the 996’s healthy reliability record, not all of them are good buys. Choose one that has been properly maintained and you can look forward to years of enjoyable driving, but pick one that has been neglected and you can expect some sizeable repair bills. A comprehensive Pre-Purchase Inspection at Revolution Porsche’s Brighouse workshop will pick up any imminent problems and give you peace of mind, but it’s useful to know what you should be looking for when you go for a test drive. Servicing and repairing a 911 is a highly specialised job and should only be undertaken by trained Porsche technicians. A full service history which shows that the 996 has followed the correct service regime and that work has been carried out by Porsche experts is a good sign, but be wary about cars that have been maintained at non-specialist garages. This is particularly true of the GT2, which is so complex that it is a complete mystery to non-Porsche specialist mechanics. Also ask to see the last service invoice, which will feature a list of advisories. If the recommendations have been acted on, the seller should be able to produce invoices for the work. If not, the information will give you an idea of what the maintenance costs are likely to be over the first 12 months. 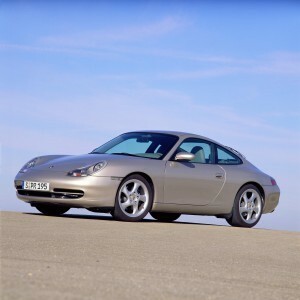 The 996 may be a sports car, but it is also practical enough for everyday use, so there is no reason to worry about the mileage being high, as long as the car has been well maintained. In fact, low mileage examples may require some extra checks as underuse can lead to problems such as rust on the brake discs. One other thing to consider is that 996s with very low mileages may well have been used for track days and regularly driven close to their maximum potential. If this is the case, it should have been serviced more regularly than the recommended mileage-based regime. One of the most serious issues on the 996 is failure of the factory-fitted IMS bearing, which can lead to catastrophic engine problems. The failure rate on models manufactured between 2000 and 2005 is around 8% (according to various published statistics), so make sure you find out whether the car you are interested in buying has had the highly-effective retrofit solution before you make an offer. Many 996 owners opt to have the retrofit solution as a precaution and that is a job we regularly undertake at Revolution Porsche. If you need any advice about this, please give us a call. Cracked cylinder heads were a problem on some early Porsche 996sReading Porsche forums may lead you to conclude that there has been an epidemic of cracked cylinder heads and liners on 996 engines. In reality, the issue is actually relatively rare and the prominence of horror stories on the internet is down to the large repair costs involved when it does happen. The problem is very difficult to spot in its early stages unless you have access to specialist equipment. Given the price of a replacement engine, it is well worth investing in a borescope inspection before buying a 996 to check that an expensive fault isn’t imminent. One tip that you see quite often on the internet is that cracked cylinder heads and liners occur between 25,000 and 50,000 miles, but in reality the problem can strike on higher mileage cars as well. A more relevant piece of information is that the early 3.4 engines have proved much more prone to this problem than the post-2001 3.6 units. 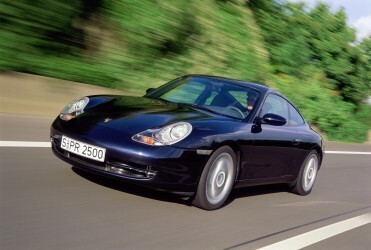 The suspension in the Porsche 996 was superb for the time when the car was launched and has proved to be very durable. The only problem you are likely to encounter is some creaking or rattling from the front and rear corners, which is a sign the control arms are either worn or have been damaged on speed bumps. Replacing them is a simple and relatively inexpensive job, which will probably need to be done every three or four years. 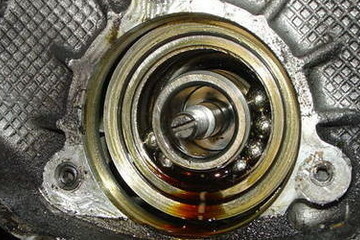 The rear main oil seals were a weak point on Porsches of this era and leaks are not uncommon. Although the seal itself is an inexpensive part, labour for the replacement is costly because it is very difficult to access. If you spot an oil leak on the 996 you plan to buy, ask a Porsche specialist to look at it. A leak does not always mean the RMS needs to be replaced immediately and it can often be delayed until a bigger job, such as replacing the clutch, needs doing. The Porsche 996’s manual gearbox has proved to be reliable and light on the clutch; but the clutch is a wear and tear item that will need replacing eventually. A heavy pedal action is usually the sign it is coming towards the end of its life, but a good Porsche specialist will have no problems replacing it. The Tiptronic gearbox has also demonstrated itself to be very reliable, but the cooling pipes have a tendency to rust after a few years of being exposed to dirt and salt from the roads. Replacing them is a relatively inexpensive job. Radiator corrosion can be a problem on Porsche 996s.The coolant radiators in the front bumper and the air conditioning condensers located directly behind them are susceptible to stone chips and corrosion resulting from dirt, salt and leaves coming through the air scoops. In an ideal world, the dirt and debris would be regularly cleaned off radiators, but as the job involves removing the bumper, most 996 owners never attempt it and it is only carried out during services, leaving plenty of time for corrosion to develop in between. Damaged radiators or condensers will need to be replaced to avoid overheating or the loss of air con. 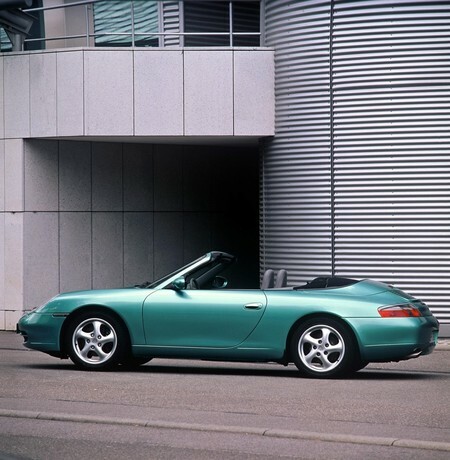 A misfiring engine or one that sounds rough when running may be a sign of problems with the 996’s ignition coil packs. Over time heat from the engine and exhaust can cause the coils to expand and the insulation to crack. The only solution is to replace them, but it will be relatively inexpensive to have the work completed by an independent Porsche specialist. The packs are likely to have to be replaced several times during the car’s life. The 996’s alloy wheels are susceptible to kerbing damage and expensive to replace. If you can’t find a car with wheels in a good condition, remember to factor in the cost of replacements or refurbishment when you work out how much to offer. This incarnation of the 911 is much lighter on its brakes than most sports cars of the same vintage, but as with all cars, the brakes do need to be replaced every few years. Make a visual check of the discs for signs of rust and warping, and also see if the car shakes or pulls one way when braking – they are all signs that the brakes will need replacing in the near future. If the pads and discs have been changed previously, ask to see the receipts for the work. It should have been undertaken by a Porsche specialist using high-quality parts. 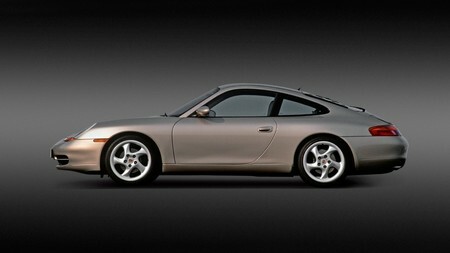 The bodywork on the Porsche 996 is of the highest quality and the manufacturer provided a ten-year anti-rust warranty. With the exception of under the door catches on very early 996s, rust is rare and may be evidence of badly-repaired accident damage. Check the bodywork carefully for dents and signs of repair, and also check underneath the car for a misshapen floorpan – another sure sign it has been involved in an accident. Ask for details of the accident damage and repairs, and to see receipts for the work; make sure you are happy with the explanation and the quality of the repairs before making an offer. Corrosion of the exhaust fasteners, bolts and nuts is a common problem that can lead to exhaust leakage. A visual check of the underneath of the car will pick this up, but you will need access to a lift to get a proper view. There is no alternative to having the parts replaced. Plenty of 996 owners chose to upgrade the factory-fitted exhaust with a sportier alternative with additional noise; it’ll sound great on a one-off test drive, but you may not find it quite as good to listen to every day. 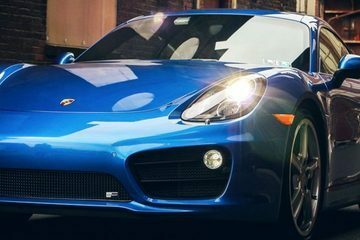 As with any modification, you should ask for details of the parts fitted and check that the work was carried out by a reputable Porsche specialist. The Turbo versions of the 996 are fantastic to drive, but you should carry out extra checks for corrosion before buying one. Various elements of the turbo installation are susceptible to rust even at relatively low mileage, so it is sensible to ask a Porsche specialist to carry out an inspection before you agree to buy. Porsche 996 Cabriolet roofs needs careful checksIf you picture yourself cruising through the countryside with the roof down in your 996, you’ll need to make a couple of simple checks when you inspect the car. Problems with the Targa roof mechanism are unusual, but make sure you check it works properly as repairs can be difficult and expensive. The roof panels have a tendency to be a little rattly but this can often be fixed relatively easily, so seek an expert opinion if that is the only thing putting you off. The Cabriolet roof is generally durable, but damage to the rear screen such as crazing or splitting normally requires a replacement. Lots of Porsche 996s have had upgrades, with many owners keen to further improve the already impressive performance of the car on the track or simply for bragging rights. People who splashed out for the GT2 or GT3 seemed particularly keen on modifications. Ask whether the car you are interested in buying has had any upgrades and for full details of the work. It can affect your insurance premium and how the Porsche is maintained. One last thing to be aware of is that, as a general rule, the early 3.4-litre engines experienced more problems than the later 3.6-litre 996s. Whichever model used 996 you are keen on, Revolution Porsche can help to remove some of the risk from your buying decision. Take advantage of the Pre-Purchase Inspection service at our Brighouse workshop and our trained Porsche technicians will undertake a full visual and diagnostic check, complete with Rev Ranges, before producing a comprehensive report on the car’s condition. The inspection costs £150 +VAT, with a borescope inspection available for a further £99 +VAT. Calls us on 01484 717342 or contact us via the website to find out more or to book a car in.